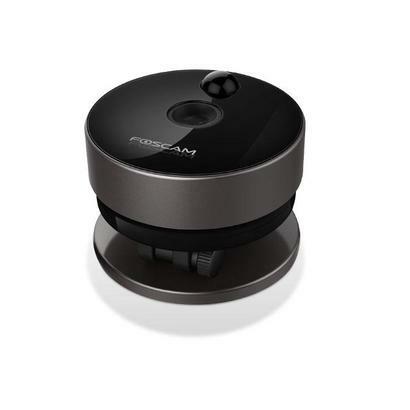 - The Foscam C1 camera features the ability to connect via smartphone by simply scanning the QR code on the underside of the camera. 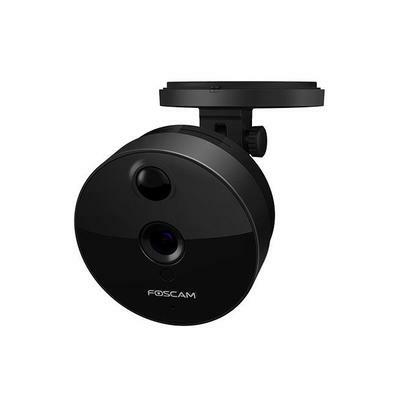 High quality HD 720P video hardware is combined with enhanced firmware features such as H.264 compression for smoother video & smaller files and auto IR-Cut filtering for sophisticated color accuracy. 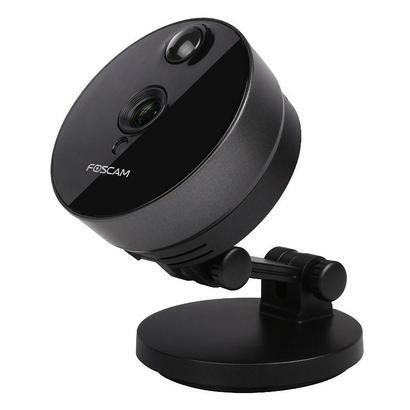 - Continuous day/night surveillance is accomplished with powerful IR-LEDs for night vision up to 26ft, sophisticated passive infrared (PIR) motion detection, and a super wide lens 115° viewing angle mean nothing will slip by your Foscam C1. 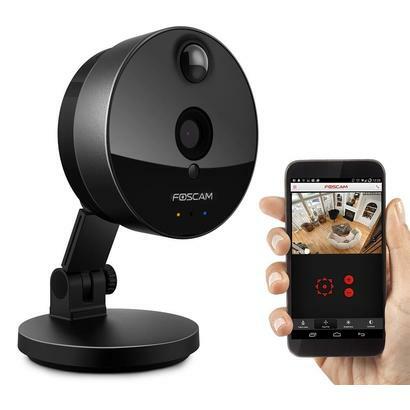 - Includes motion detection alerts via email, image uploads to FTP, free local recording to microSD card or hard drive storage, and free Foscam DDNS service for dynamic IP addresses. 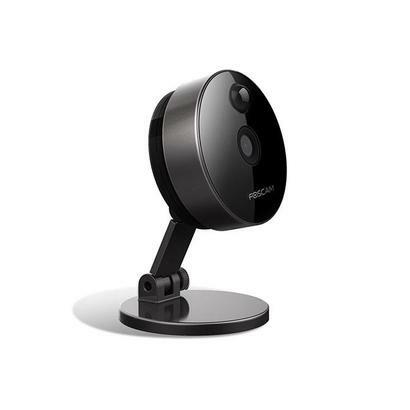 Supports IEEE 802.11n wireless connection and WEP, WPA, WPA2 encryption standards with protected multi-level user management. 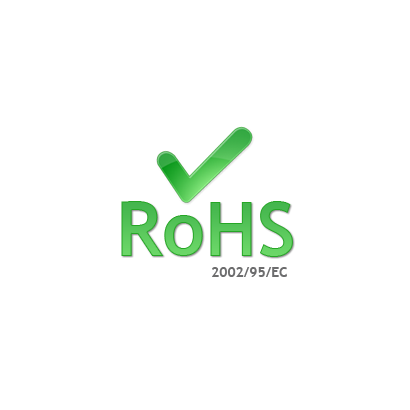 Multiple network protocols are also supported (IP, TCP, UDP, HTTP, HTTPS, SMTP, FTP, DHCP, DDNS, UPnP, RTSP, ONVIF). 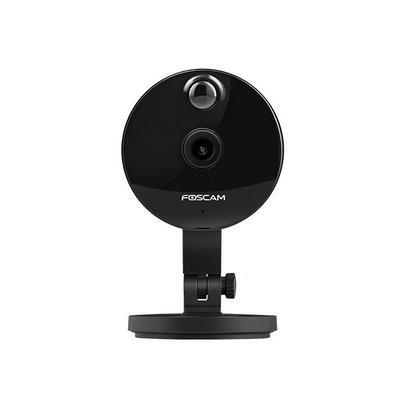 - Supports remote viewing & recording from anywhere and anytime on desktop computers with standard web browsers such as IE, Firefox, Chrome, and Safari, and on smart devices such as iPhones, iPads and Android mobiles (with included Foscam Viewer app). 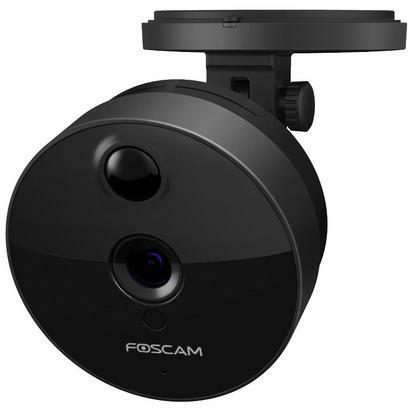 Other popular apps such as Live Cams Pro and TinyCam Monitor are also compatible. 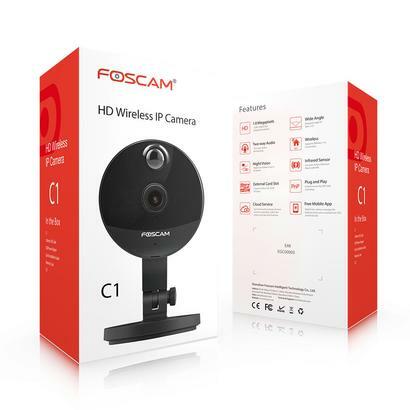 - Ships with with free camera management software plus manual and driver CD. 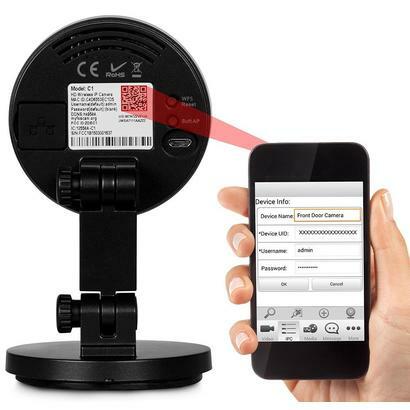 Network cable and quick start guide are also included. 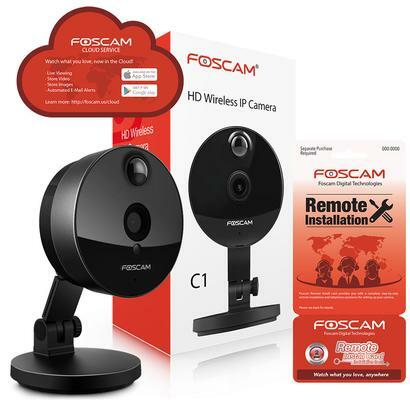 Guaranteed for a Full Year from purchase with US Support and US Warranty offered exclusively by Foscam Digital Tech.